At Seasonal Home Comfort we understand how important the comfort and safety of your home is to you and your family. Ensuring an optimal environment is crucial to your day-to-day living, and to maintaining a cost-efficient household. That’s why we pride ourselves on our level of service commitment, top-notch quality, and reliability. We deliver above and beyond your expectations, so you can rest easy knowing your home is in good hands. Servicing the greater GTA, including Toronto, Etobicoke, Mississauga, Brampton, Caledon, Oakville, Burlington, Hamilton, Vaughan, Richmond Hill, Markham, and beyond. Call 416-937-5620 to speak to our customer service representatives. Take comfort in knowing who we are and what we stand for. 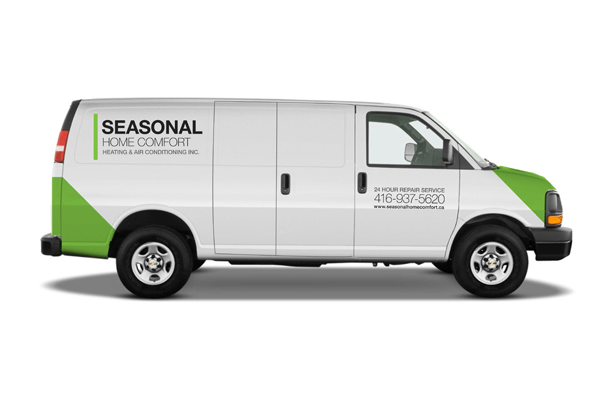 The Seasonal Home Comfort team has a combined 30 years of experience in the HVAC industry. Our service and dedication to exceeding customer expectations is unparalleled. We do what we say we are going to do – it’s called integrity and it’s what Seasonal Home Comfort clients have come to expect. We are proud partners with Lennox, Rinnai Tankless Water Heaters, Amana Heating & Air Conditioning, Mitsubishi Electric. 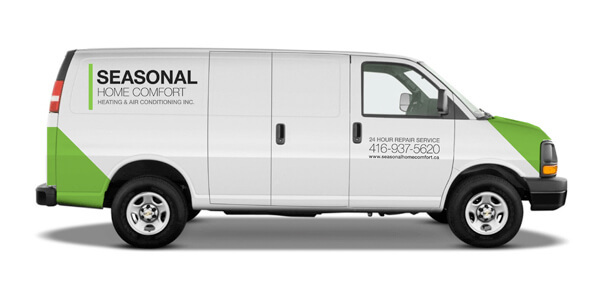 As a family-run business, we appreciate you choosing us as your home comfort specialists. We’d like to reward your loyalty with these service specials on your next equipment tune-up or upgrade! Referral rewards also available. Ask us for details. Call us at 416-937-5620 to book your next appointment and enjoy the savings! Do you know someone looking to make an energy saving upgrade? Share the update coupon with them. You’ll also qualify for our REFERRAL BONUS. Call us for details today! Did you know? A newer, more efficient furnace and air conditioner can save you over $450 per year on your gas and electricity bills. Plus, as an added bones, you may qualify for available rebates and incentives to help offset the up-front costs. Trust your local experts in quality installations & service to show you how. Ask us about our affordable rental and financing options so you can start saving and improving your home comfort sooner. Maintaining your new or older equipment is critical to ensuring your family’s safety, comfort and ongoing energy savings. Seasonal Home Comfort gave me honest recommendations that matched my budget and the needs of my family. Before the work began, I knew exactly what was going to happen and I felt very comfortable. The install was done with no hiccups and the installers left my basement cleaner then when they started. I would highly recommend Seasonal Home Comfort for anyone who is looking to upgrade their HVAC equipment. On a recommendation form our neighbour, we purchased our new furnace and tankless water heater from Seasonal Home Comfort. We purchased a 95% efficient furnace by Goodman and a 96% tankless water heater by Rinnai. They provided us with all the recommendations, and walked us through everything they did. The workmanship was exceptional, and I’m happy to know that I’ll have warmed my home and water using far less natural gas! The easiest part of our home renos was choosing Seasonal Home Comfort to install our new gas fireplace. Larry and his guys were great. The install was done quickly and far below competitive quotes. We have since called them for furnace and AC service. Highly recommend this hard working team. Larry and his team were courteous, respectful, punctual, and very reasonable. They replaced my air conditioner and furnace so that I can take advantage of the rebate programs available and were very informative. I would recommend Larry and his team any day. I cannot be more satisfied with the service Larry and his crew provided, very quick and professional at a very reasonable cost. I won’t hesitate to call them again and will recommend Seasonal Home Comfort to my family and friends. They were punctual, courteous, clean and informative. I was VERY impressed. I will definitely use them again, and recommend them to anyone who is looking for services they provide. We are always looking to grow our team with the right talent and skillset. If you are interested in a successful HVAC career, please send your resume with references to info@seasonalhomecomfort.ca. Only successful candidates will be contacted for personal interviews. © 2017 Seasonal Home Comfort. All Rights Reserved.